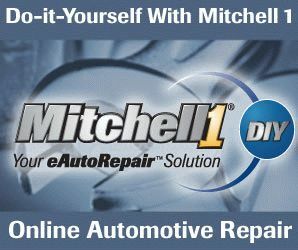 It is true that there are many free repair manual online. One of places you can find free repair manuals is a library. You don’t have to go to the library right now. Because the library may not have the manual you are looking for. Libraries have their own websites. Visit the website first and type your car’s model and year. After you make sure they have the your car’s manual, go to the library and check out. But printed manuals don’t have as much information as online repair manuals have. Because of the advance of technology, newer vehicles need more and more pages. Printed repair manuals of newer vehicles should be several times thicker than the manuals of older vehicles. The reason you don’t see such books is the contents of printed repair manuals are limited to basic information. They don’t have the information of new technology or detailed wiring diagrams. Of course, how much information you need depends on the level of your skills. If you do only routine maintenance like oil change and tune up, printed manuals are probably sufficient for you. The drawback of printed manuals is that it’s hard to find pages you collect information from. Unlike online repair manuals, there is no search box to type names of parts you are going to replace or trouble code’s number you just retrieved by a scan tools and want to know the cause. After you manage to find the pages, make sure to copy the pages. Don’t take the manual to a work place and look it up while working. Soon it will be full of fingerprints on all pages. Remember they belong to the library. Regardless of disadvantages, printed repair manuals are still around on the market. That is because they target on do it yourself mechanics who do only basic jobs. Again, they are enough for those who do only routine maintenance. If you want to own the manual instead of borrowing from library every time you need, you can find almost all cars’ manuals on the Internet. Haynes and Chilton are very reputable publisher of auto repair manuals for many years. You can also find used manuals as well as new ones with discount on eBay. This entry was posted in Repair Manual and tagged Online Repair Manual on April 8, 2013 by admin.